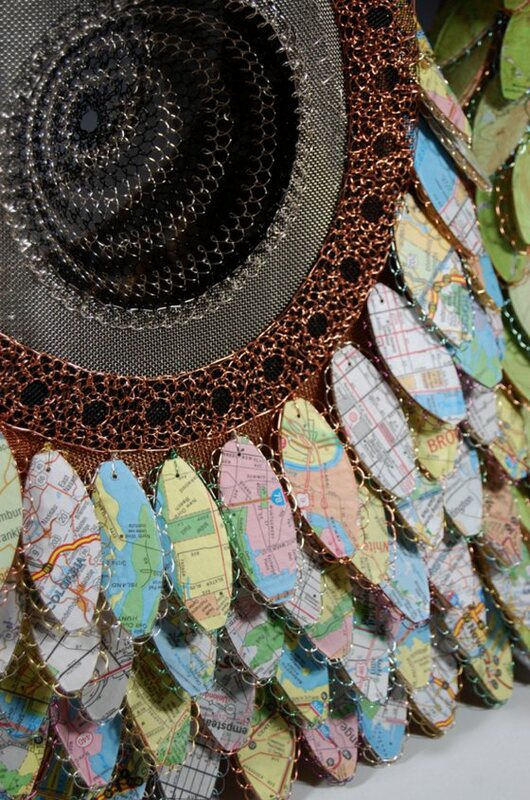 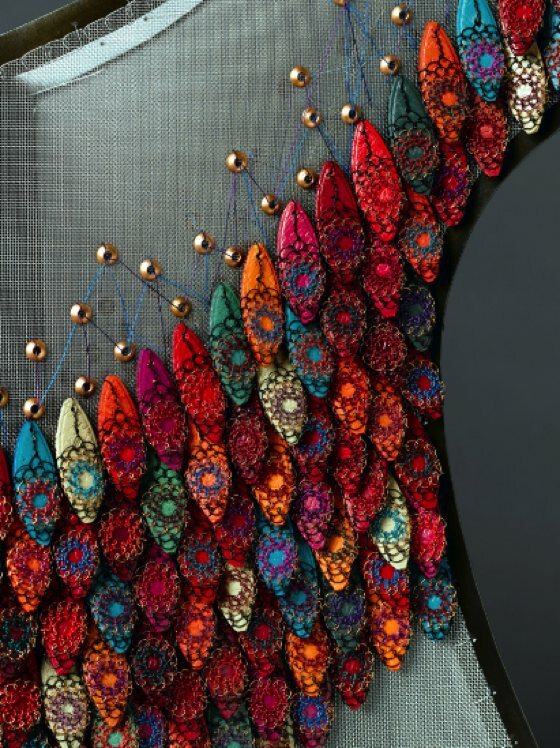 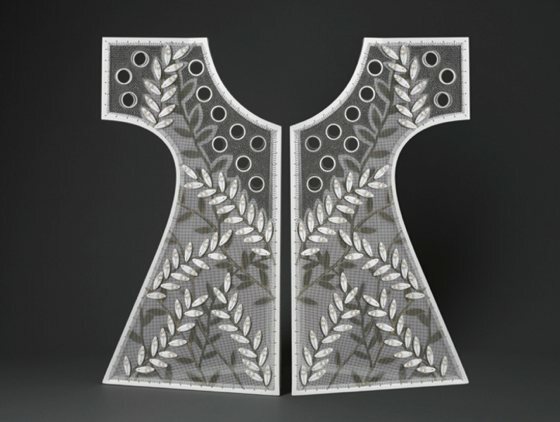 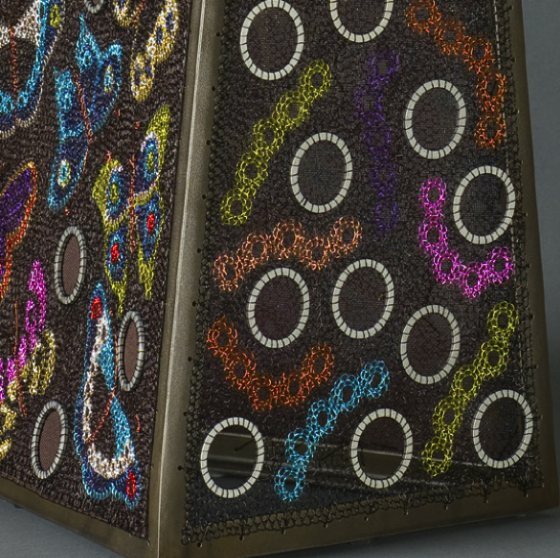 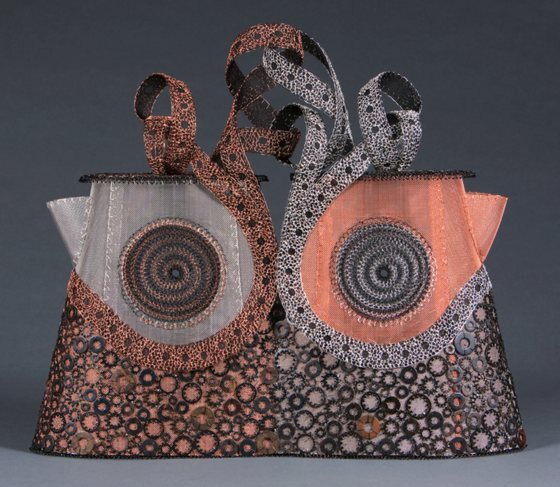 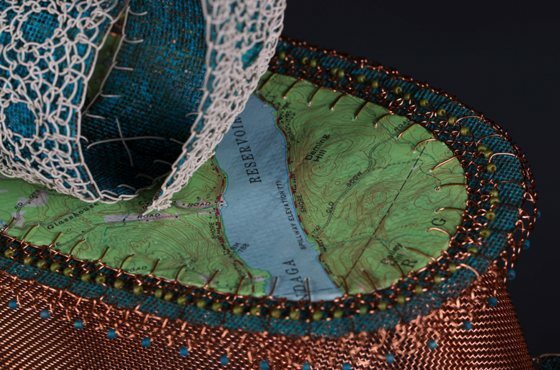 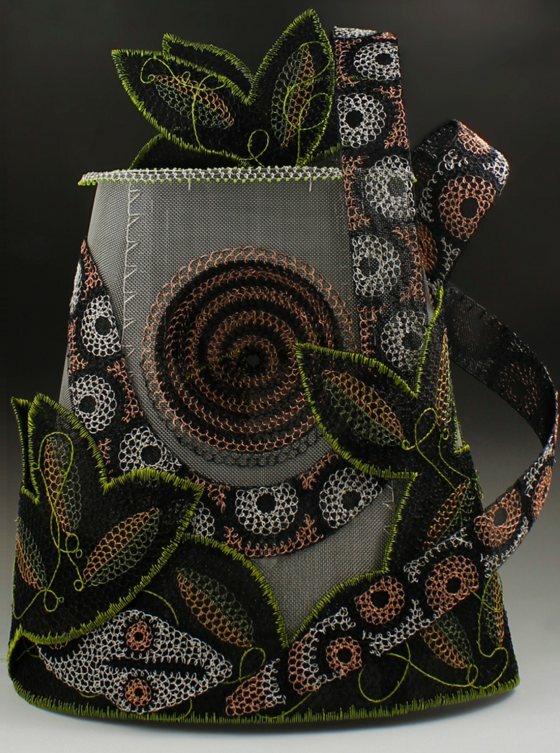 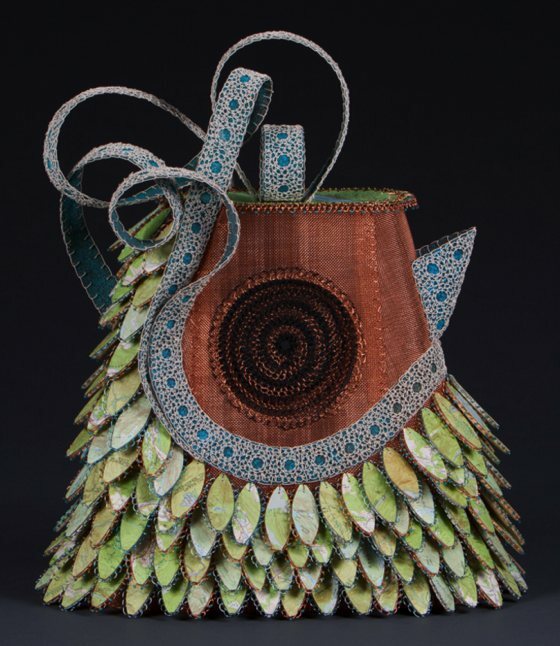 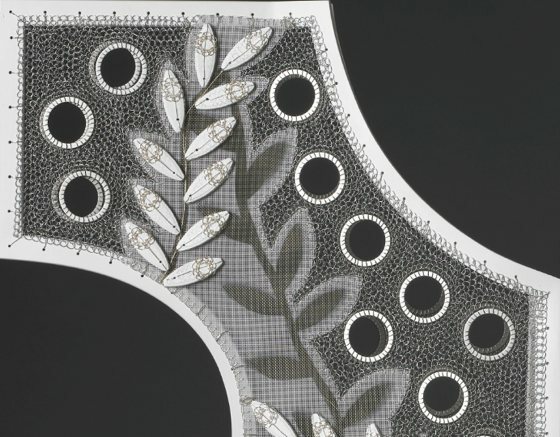 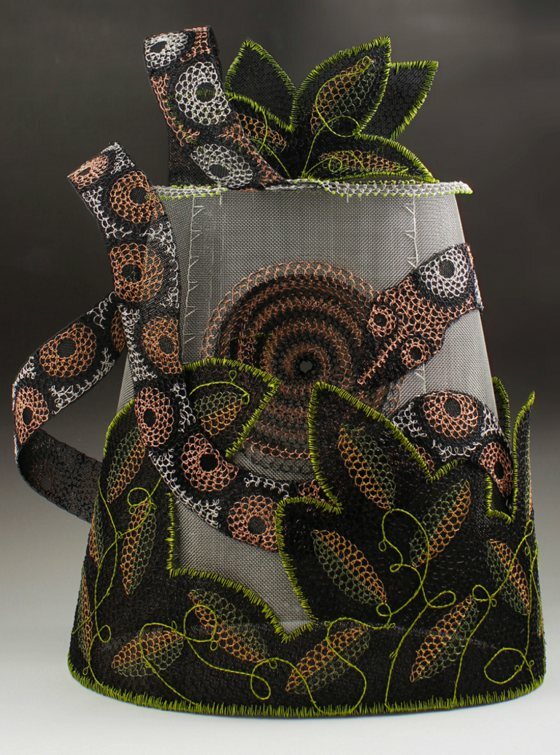 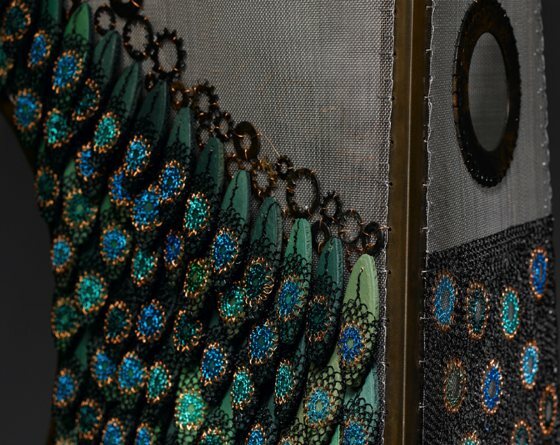 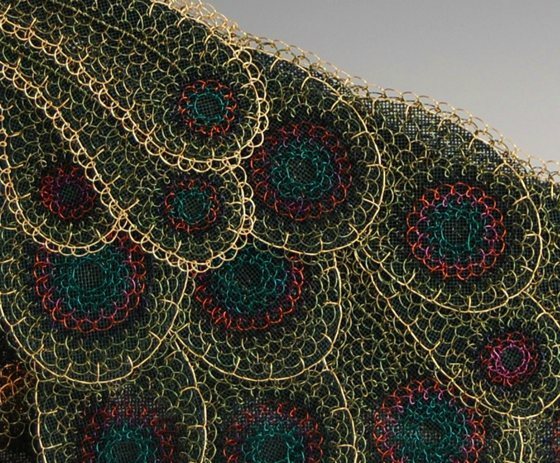 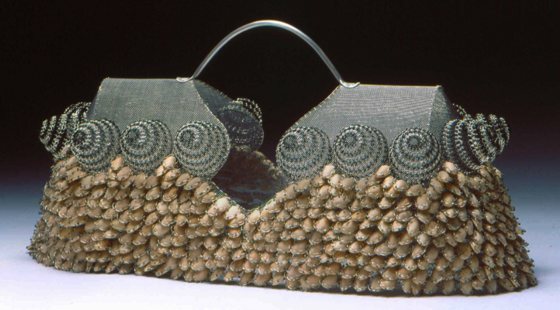 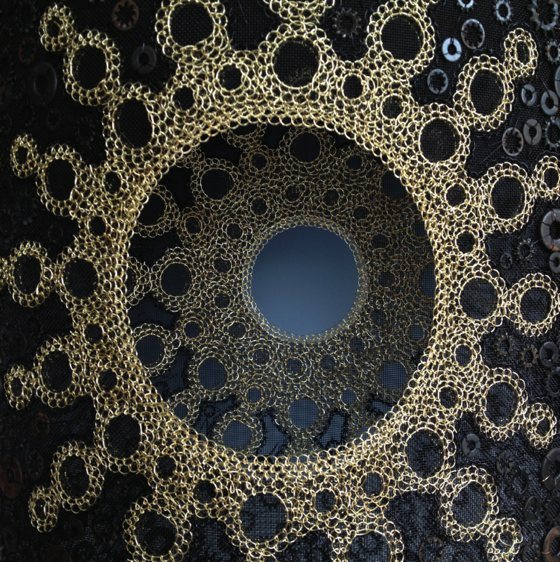 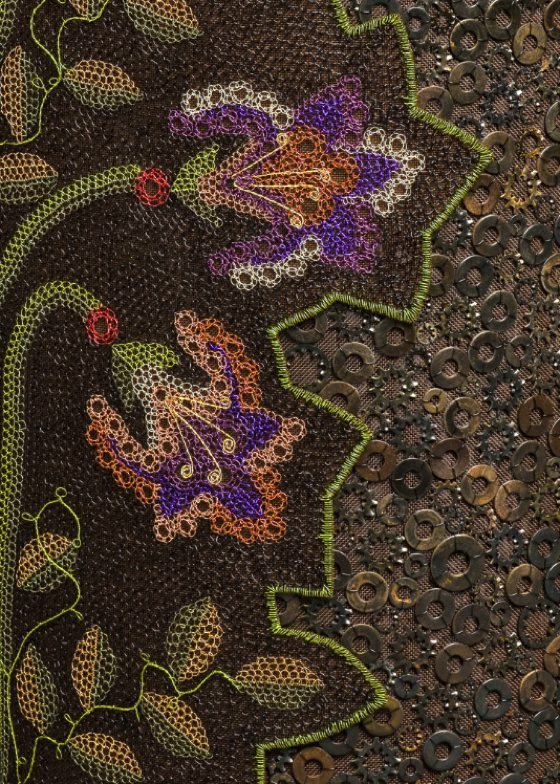 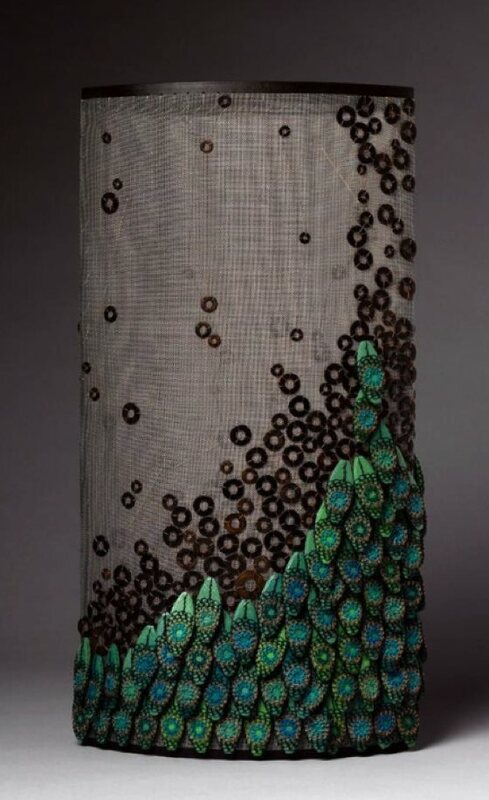 Lindsay Ketterer Gates is a Pennsylvania-based fiber artist. 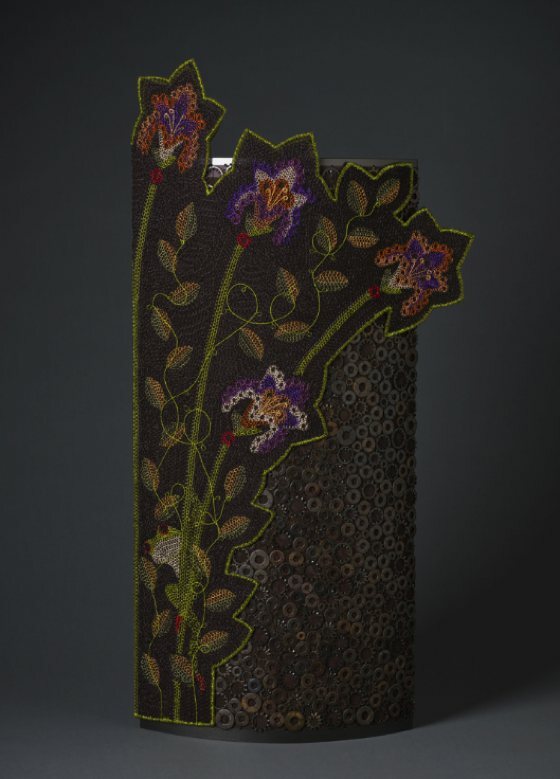 Her wonderful works are in the permanent collection of the American Embassy in the Republic of Djibouti, The Museum of Art and Design in NYC, Yale University Art Gallery as well as other international collections. 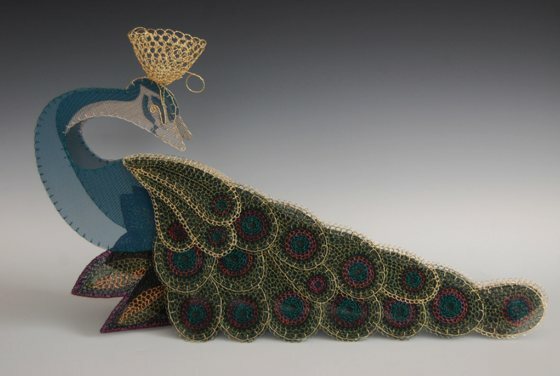 She currently has work on loan in the American Embassy in Bandar Seri Begawan and in the prestigious touring exhibition ‘Innovators and Legends; Generations in Textiles and Fibers”, which will be touring museums throughout the country for the next few years. 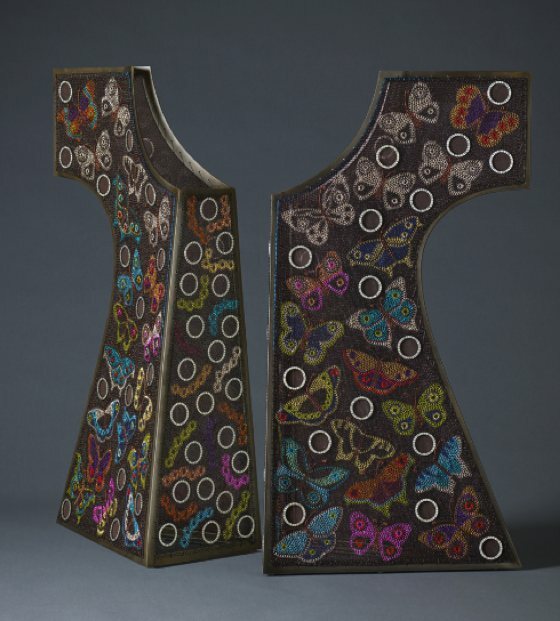 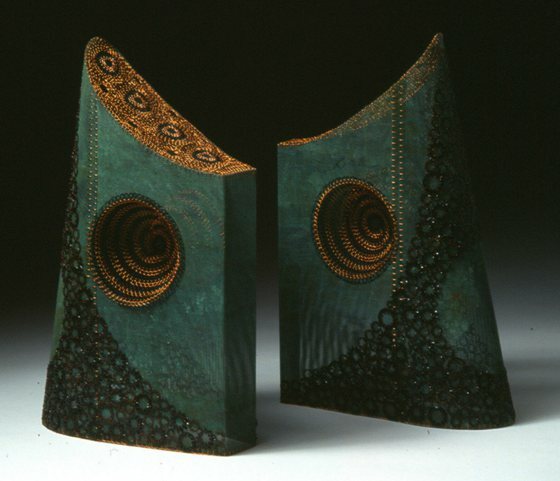 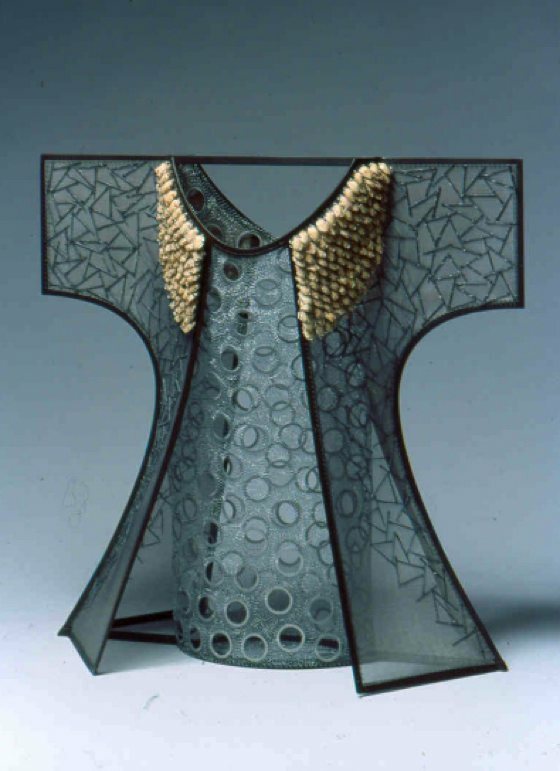 In 2005 she was awarded an Individual Creative Artists Fellowship by the Pennsylvania Council on the Arts. 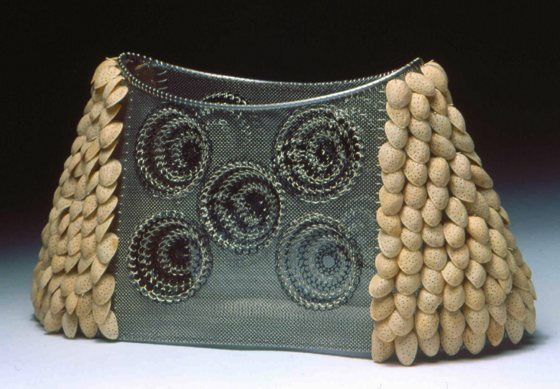 Lindsay has both a degree in Fine Arts and a degree in Arts Administration and divides her time between her studio and Peters Valley School of Craft, where she is currently Development Director. 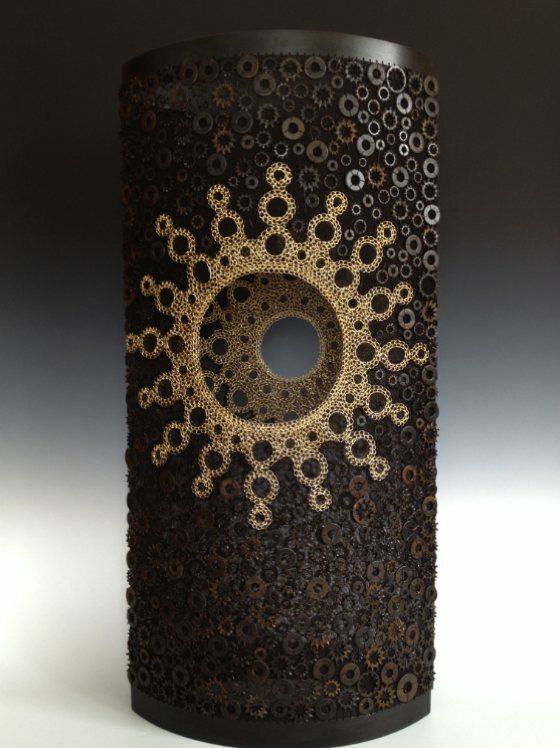 "My current body of work focuses on transforming mundane materials into something extraordinary. 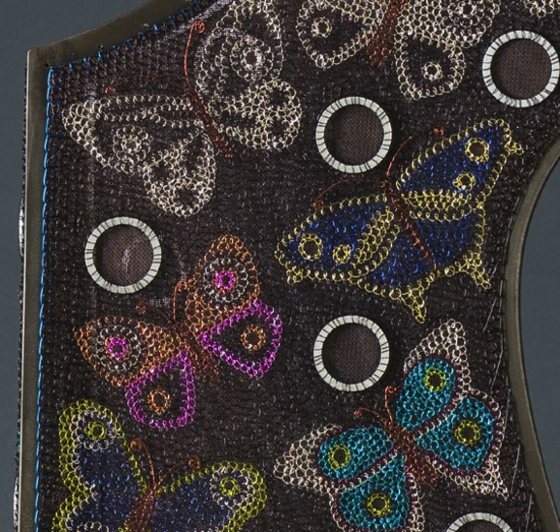 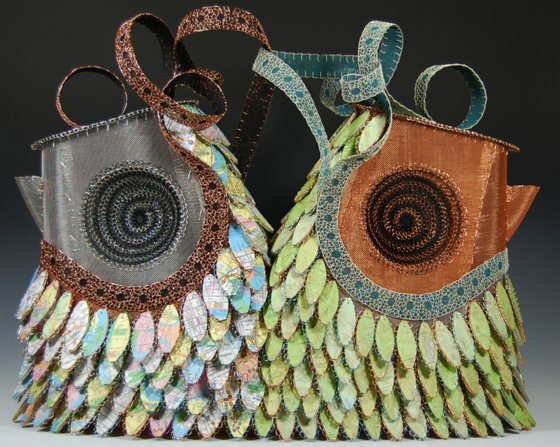 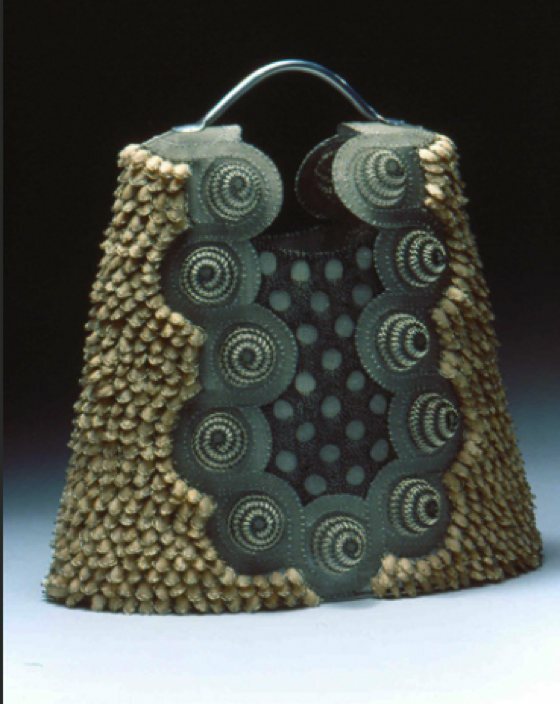 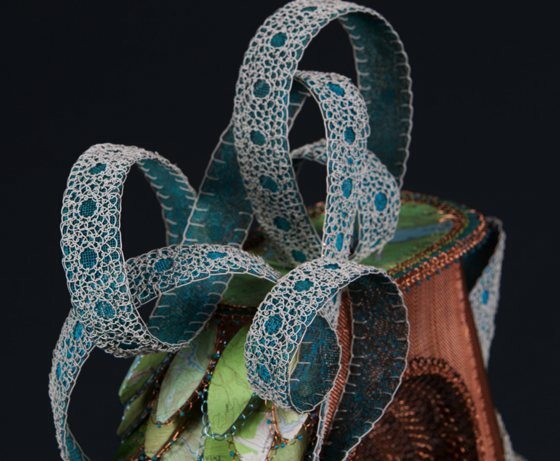 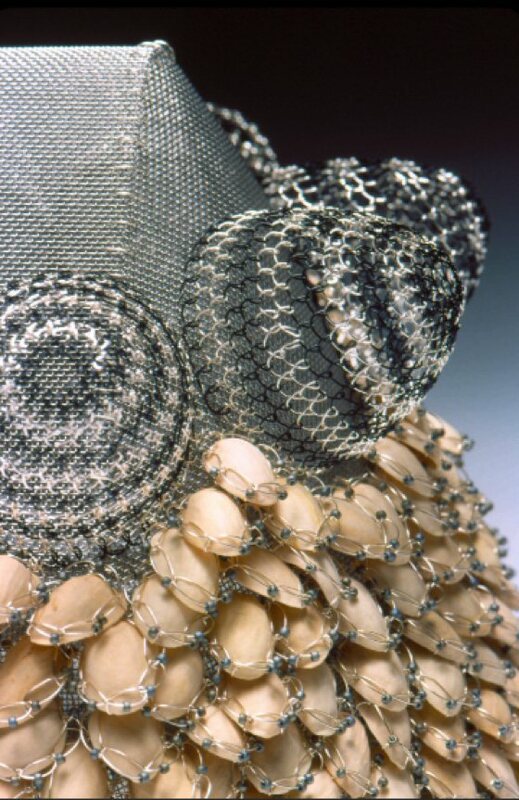 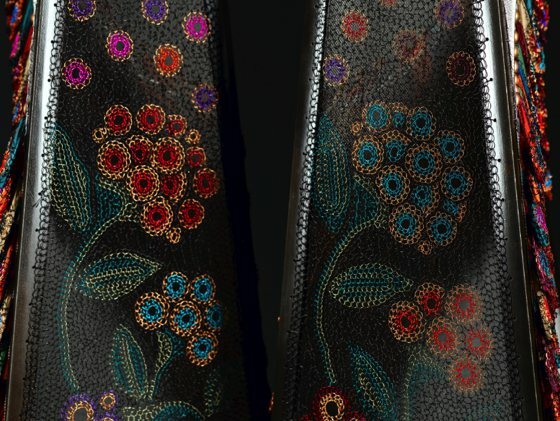 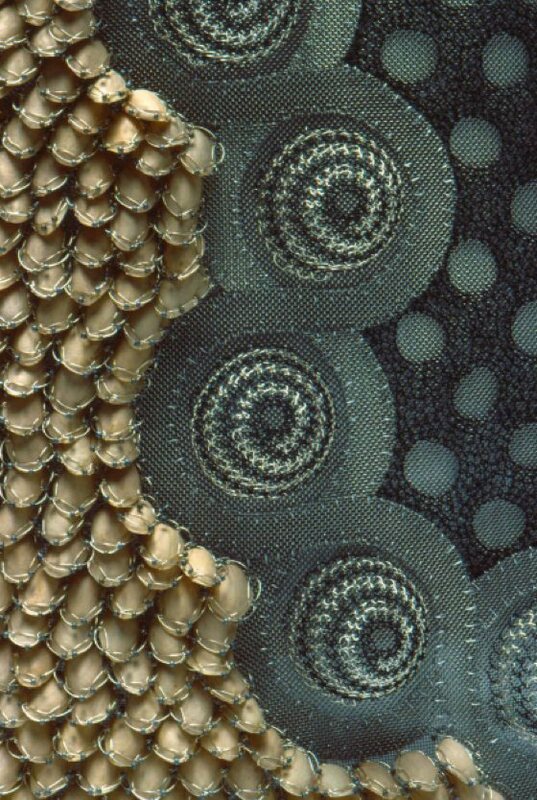 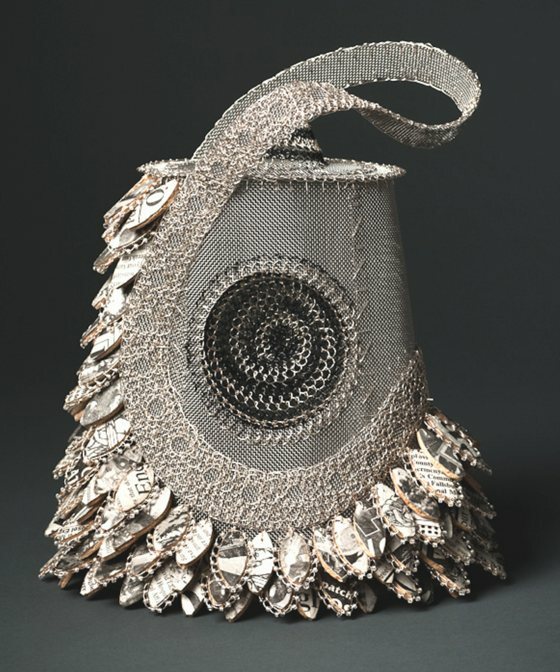 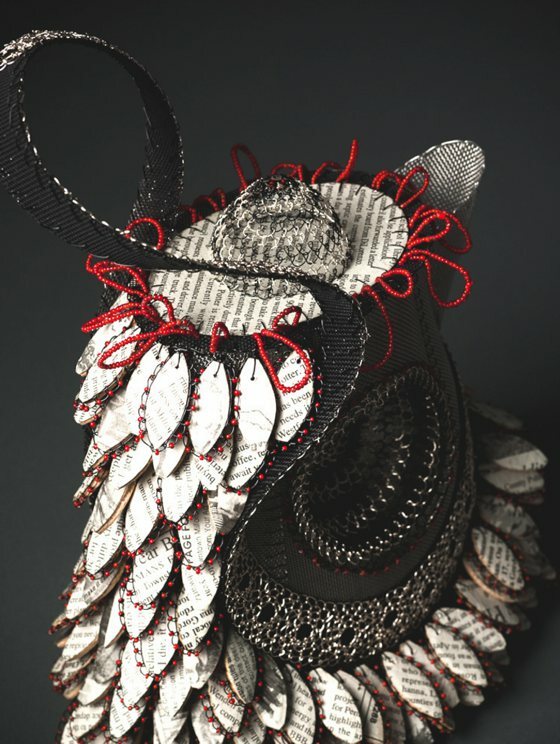 I combine my love of textile techniques, fashion design and everyday materials to create works of texture and grace. 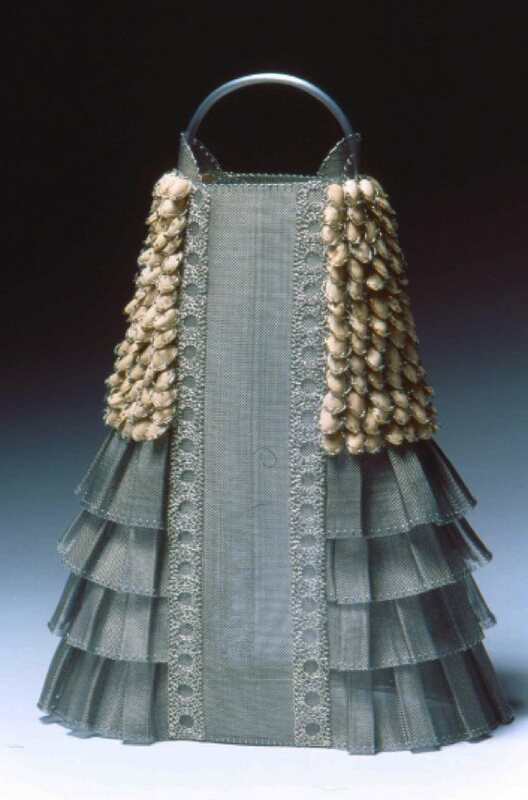 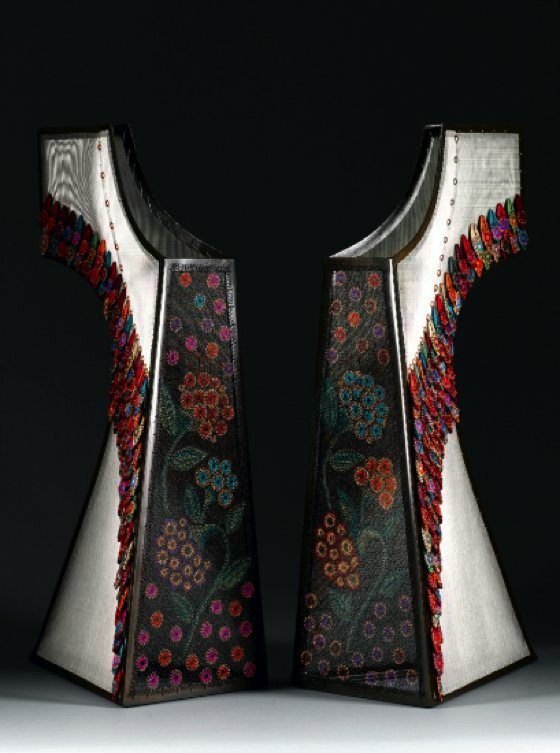 Necklines, fasteners, ruffles, pleats and decoration of traditional costumes from around the globe inspire me. 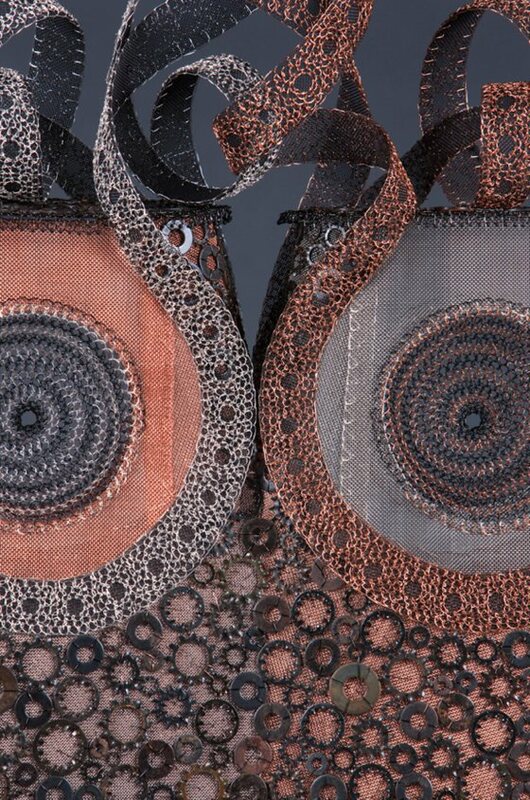 I draw from my own vocabulary to create interesting patterns and textures from various materials used in repetition. 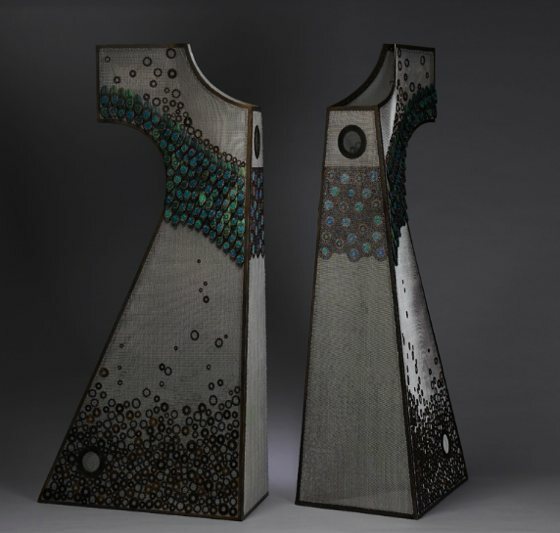 My aim is for the viewer to find the finished products both elegant and curious."